This mix of cool and refreshing peaches and creams will satisfy the deepest thirst for pleasure. 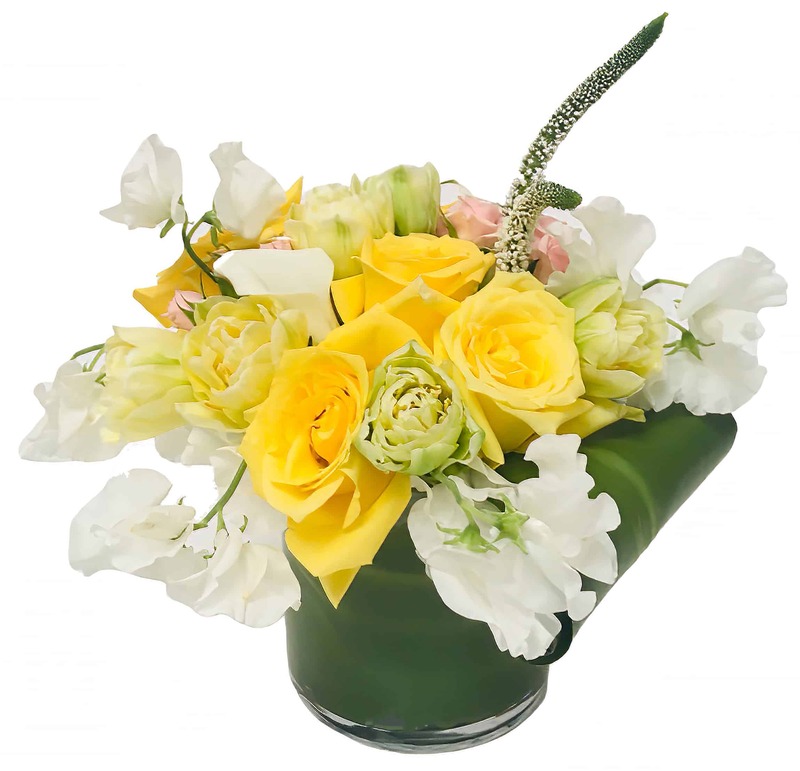 It's full of White Hydrangea, Queen's Day Roses, Stock, Queen Anne's Lace, Asiatic Lilies, Tulips and Sweet Peas; housed in a square white ceramic vase. It's an old fashioned favorite with a modern day twist. It's a great piece for romance or simply for some child-like fun! Use it for all of your decorating needs or to wish someone a memorable, happy day!